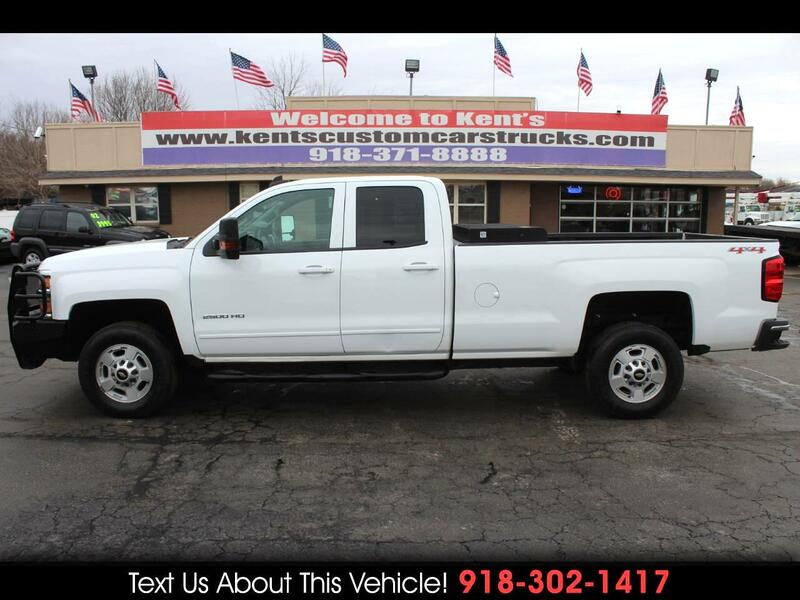 2015 Chevrolet Silverado 2500HD 4x4 LT 4dr Double Cab Long Bed, Vortec 6.0L V8 Gas/CNG Engine, 6-Speed Shiftable Automatic Transmission, Bi-Fuel Compressed Natural Gas CNG Fuel System (Includes CNG tank mounted in forward end of bed, operates on both gasoline and CNG; Not E85 compatible. Complete vehicle and system ready.) 8 In. Diagonal Color Touch Screen Audio System w/ Chevrolet MyLink (Includes 8 In. diagonal color touch screen audio system w/ Chevrolet MyLink, AM/FM/SiriusXM/HD w/USB ports, auxiliary jack, SD card slot, Bluetooth streaming audio for music and most phones, hands-free smartphone integration, Pandora Internet radio and voice- activated technology for radio and phone, and 4 customizable themes.) 2015 Interim Program Processing Code (Includes vehicle with standard equipment, Next Gen OnStar w/ 4G LTE (provides a built-in Wi-Fi hotspot to connect to the internet at 4G LTE speeds), body color door handles, body color mirror caps, body color body-side molding and heavy duty locking rear differential. (Deletes HD radio from the vehicle).) Heavy-Duty Trailering Equipment (Includes 2.5 in. trailering hitch platform w/ 2.0 in. insert for HD, 7-wire harness w/ independent fused trailering circuits mated to a 7-way sealed connector to hook up parking lamps, backup lamps, right and left turn signals, an electric brake lead, battery and a ground, and integrated trailer brake controller. (The trailer connector also includes the 4-way for use on trailers without brakes - park, brake/turn lamps.)) OnStar, Rear Vision Camera, Cloth Seats, Vinyl Floor Covering, Power Driver's Seat, Child Seat Anchors, Power Door Locks and Windows, Power/Heated Exterior Mirrors, Tilt Steering Wheel, Tinted Windows, Power Steering, Power 4-Wheel Disc Anti-Lock Brakes, 4.10 Axle Ratio, Firestone LT245/75R17 Tires, 17 inch Machined Aluminum Wheels. For more information give us a Call at 918-371-8888 or send us a Text Message at 918-302-1417.